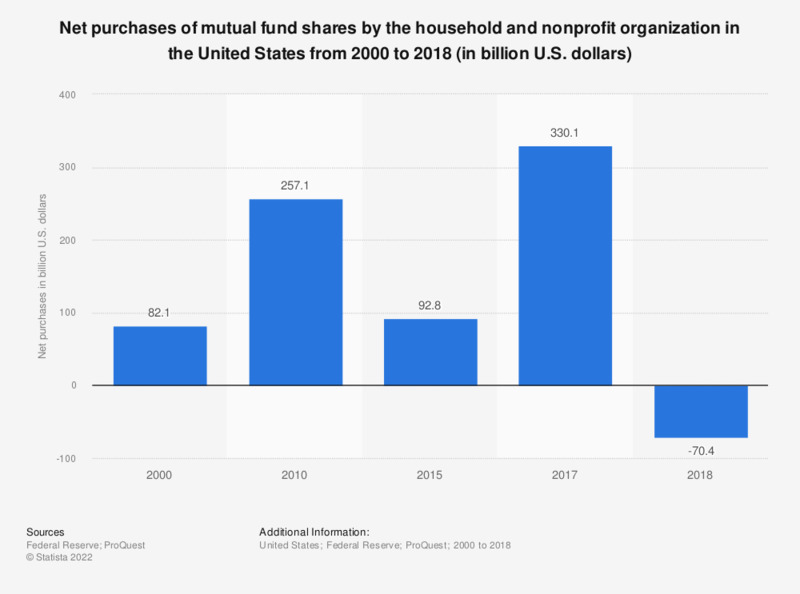 This statistic presents the net purchases of the mutual fund shares by households and nonprofit organizations in the United States from 2000 to 2017. The net purchases of the mutual fund shares by the households and the non-profit organizations in the United States was approximately 349.4 billion U.S. dollars in 2017. Excludes money market mutual funds and exchange-traded funds.